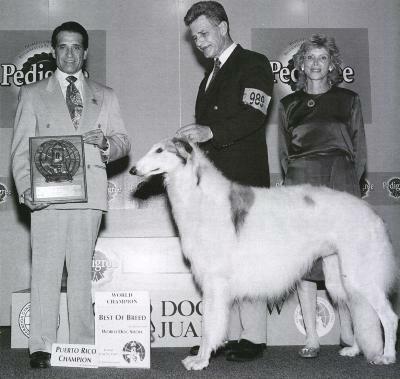 Shosta is the sire of the 1999 World Champion - Multi International, American and World Champion (Mexico 1999) Shefaro's Alejandra, and Mexican (World) and Junior World Champion, Shefaro Oksana's Elia. 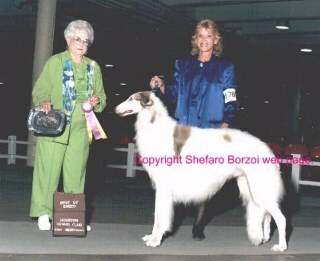 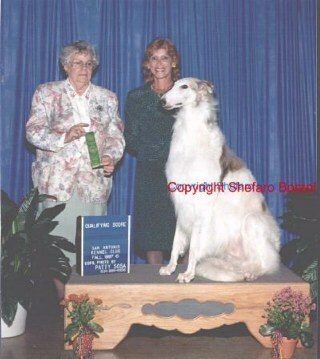 He was bred by Mary Moran, Secret Garden Borzoi. Shosta went from the breed ring to the obedience ring and was happy doing both. 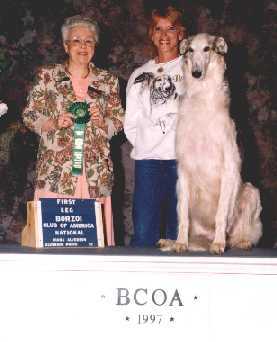 As long as we were together, Shosta was happy and so was I. 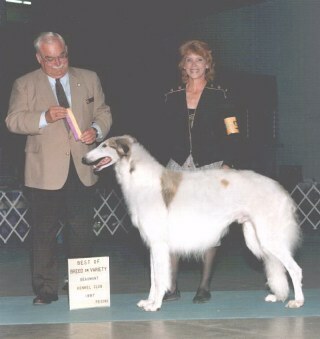 He was a great companion, friend, show dog and sire. 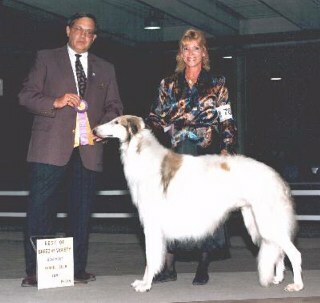 Shosta at the World Championship show in San Juan, Puerto Rico, 1997, where he became the World Champion.